In this topic you will learn how to configure the Gallery YouTube settings so that YouTube videos can be added to portal or in-page experiences. Click the Settings link on the home page. In the left navigation, click the YouTube link. 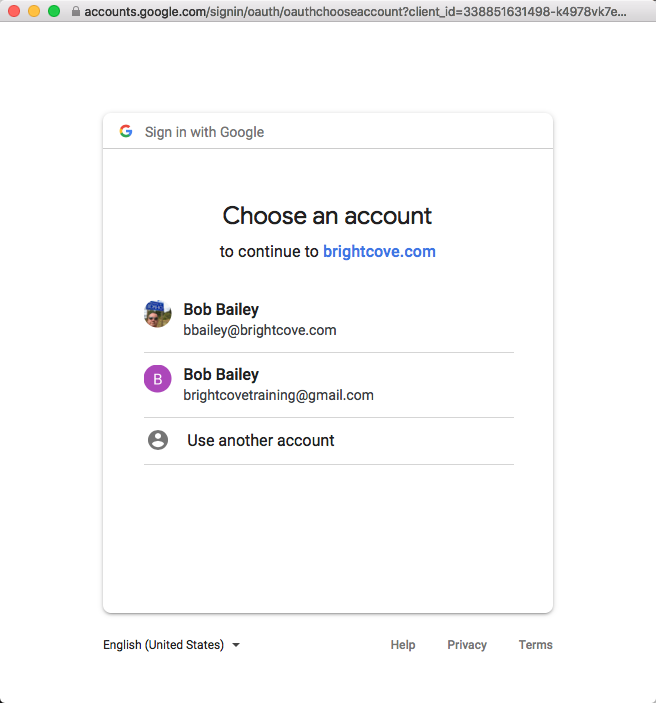 If you have access to multiple Google accounts, select the account you want to login to. 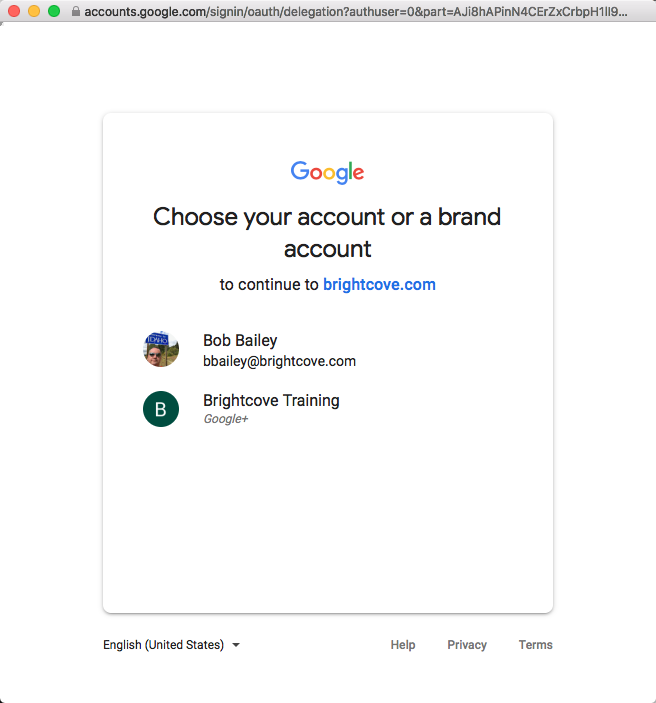 If you have access to multiple Google accounts, select the account associated with the YouTube account you want to access. 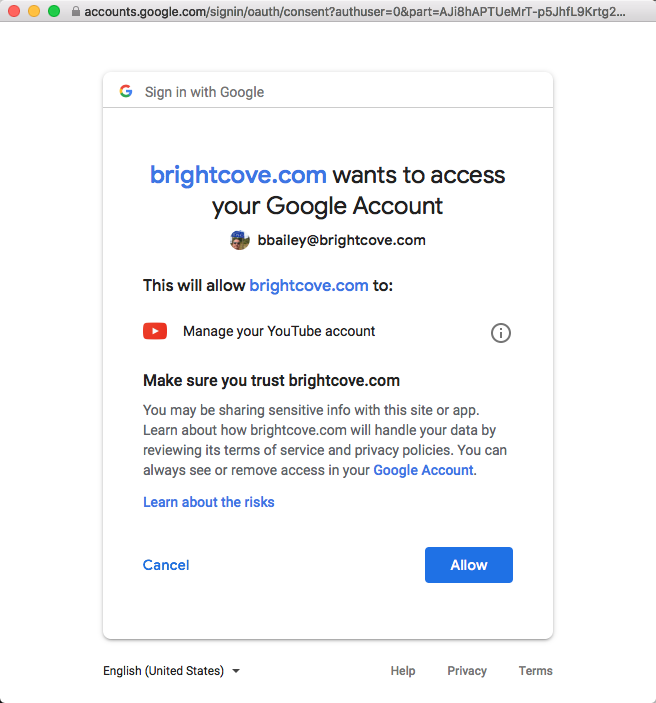 Brightcove will request permission to manage your YouTube account. Click Allow. Verify that the connection was successful. After the connection is made, the Settings page will display the YouTube channel you are connected to.